Yet more homes are planned for Middle Rasen. Craig Keyworth of TwoSevenFiveLtd has submitted a planning application for five homes on land off Gainsborough Road. The application says the proposed site is an unused farmers’s field, which has not been used for several years and is considered low grade from an agricultural perspective. 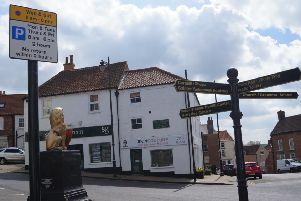 “The site is outside of but immediately adjacent to the village boundary of Market Rasen,” it continued. The homes would be sited behind four dwellings built ten years ago. East of the site are existing dwellings and to the west is a petrol station and workshops. The application says the dwellings would be traditional in style to fit in with the rest of Middle Rasen and would help West Lindsey meet its housing supply targets. The proposal adds to Charles Pickering’a scheme for 53 homes off Old Gallamore Lane, for which a planning application has yet to be made.